You maybe have heard of Occam's Razor--- the logic that the simplest answer for something is usually the right one. You're also reading my blog, where I admit to nonsensical (and sometimes illogical) complications of things--- something I lovingly call "creatiopathy". Meaning I rarely accept the simple answer as the right one. I prefer complicated. I prefer pretty. Even if it irks me to no end until I get there. One of my life goals is to have a place for everything and everything in its place. When it comes to storing food, it is often easier said than done. Especially in a way that is also cute. Because, clearly, that matters. Glass storage is absolutely beautiful, but real life comes in odd shapes and sizes. 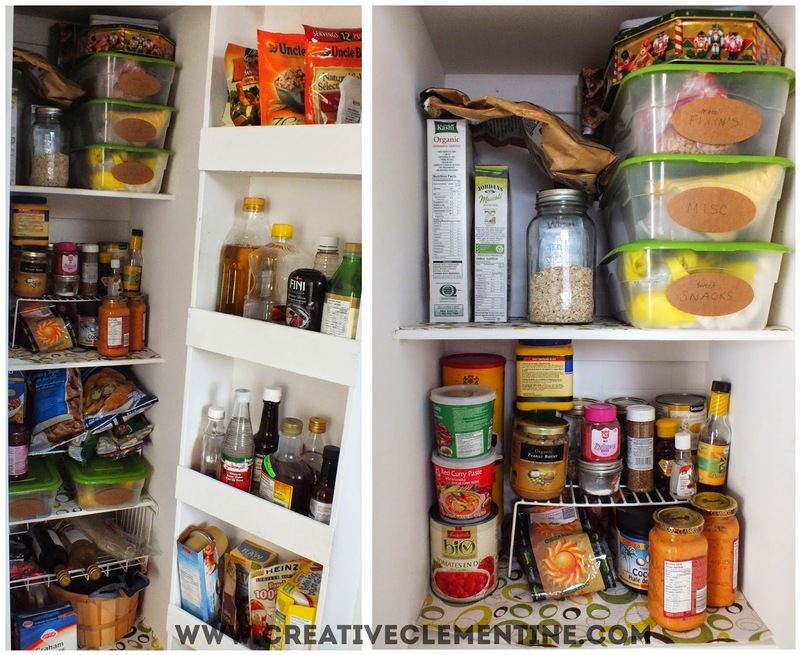 Sometimes cupboards need a more Tetris-style approach to organization. This is where modular storage comes in. 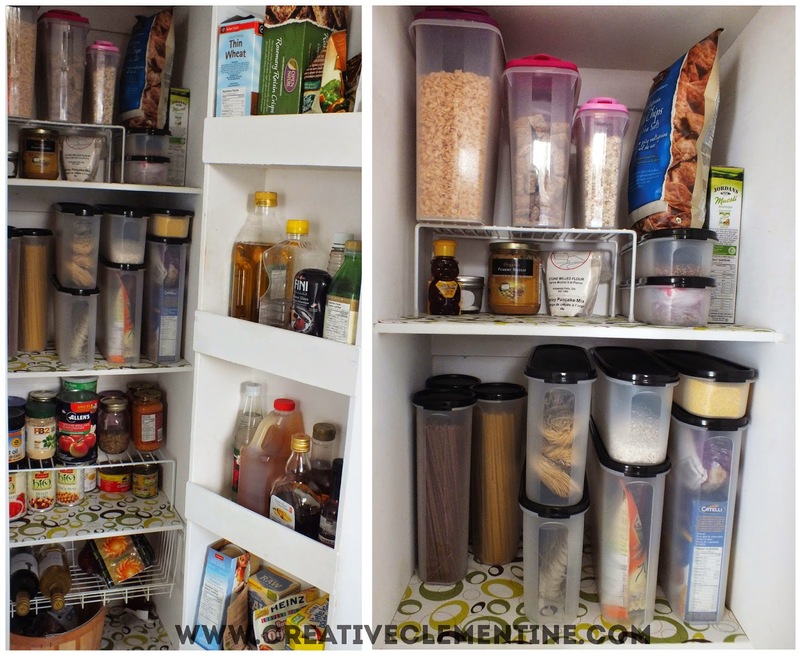 Maybe modular storage would solve all my pantry woes! A friend of mine sells Tupperware. Good ol' fashioned, name brand Tupperware. I went to several of her parties and thought about buying the plastic modular storage sets. They are designed specifically for organizing pantries. It seems like the easy answer. but I always resisted---largely because it was expensive, but also because plastic just ain't pretty. After sitting on the issue for a really, really long time, I came to the realization that modular storage was probably the way to go. I also realized that, having avoided the issue for two years, it probably wasn't all that important. Not important enough to keep dwelling on it, and not important enough to shell out hundreds of dollars on perfect looking glass modular containers. Like I said, I know the before picture wasn't that bad, so the after isn't very dramatic. But it feels so much neater!! And I just totally ignore this unimportant spot of my house now, without dreaming of glass storage. Despite my urges to overthink the whole thing, in the end I went with the easiest and most utilitarian solution. The result is neat, tidy, and practical. And since there's a door that closes to hide it all anyway.... That'll do, pig. I love the Tupperware modular storage containers. I've always hear that beauty is in the eye of the beholder. Tupperware is functional and attractive in the process. I have some of them, not all but some and love them. So glad you shared with us at Merry Monday. You storage organization turned out great! I love this! I wish my home looked this organized. It is scary how opposite it is from all of these pictures lol. I have so many glass jars I have bought to do this in my house and they all turned into craft storage haha. Thanks for sharing at Totally Terrific Tuesday! I love having you around!